Do you ever ask yourself &quot;What if I...&quot; while painting? "What if I..." are words that can influence,inspire or drive anyone, who is interested, to dare themselves to find new ways to be creative! How can three small words like " What if I?" have such an impact on an artist? I am a "Fearless" artist therefore as a creative person I frequently look to provoke my inner muse with new ideas, methods or styles in which to create a visual commentary about what I see and paint. I frequently push my art to new levels by asking myself "What if...?" Recently I had an opportunity to take my inner creative self on a journey to new levels of inspiration. 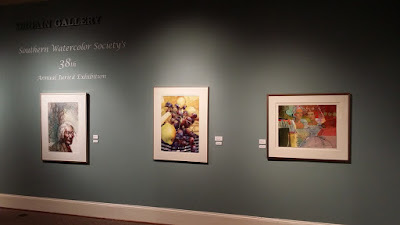 Last week was the opening of the 38th annual Southern Watercolor Society 18 state juried exhibition at the Custom's House Museum in Clarksville,Tennessee. My trip to Tennessee gave me a chance to be enthralled by the numerous works of art accepted into this exhibition. As I studied the award winning art, I found myself continuously asking myself what if I try this or that technique. The best part of going to the museum exhibit was that I was able to meet the Juror Kathleen Conover and see a demo of how she works. 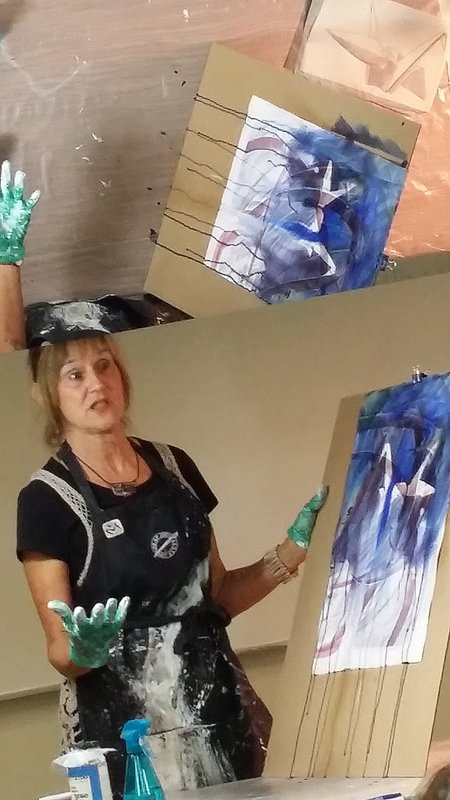 In watching Kathleen's demonstration I received valuable ideas triggering my favorite question :What if I....? 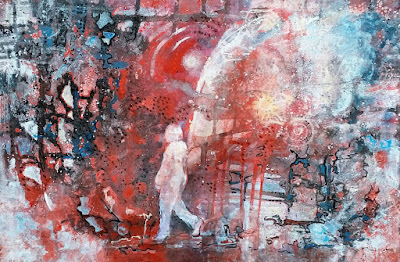 There is nothing better than watching another artist work as a means of finding new experimental methods of painting with watercolors and acrylics. 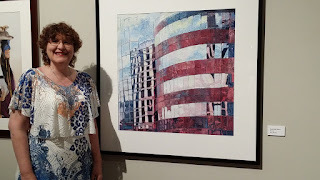 Kathleen Conover's materials and methods are similar to my own.We both use a fluid mixture of watercolors, acrylics and whatever else that will create symbolic imagery to expresses our feelings about subject matter. Kathleen's Southern Watercolor demo was a mixture of technique and philosophy. 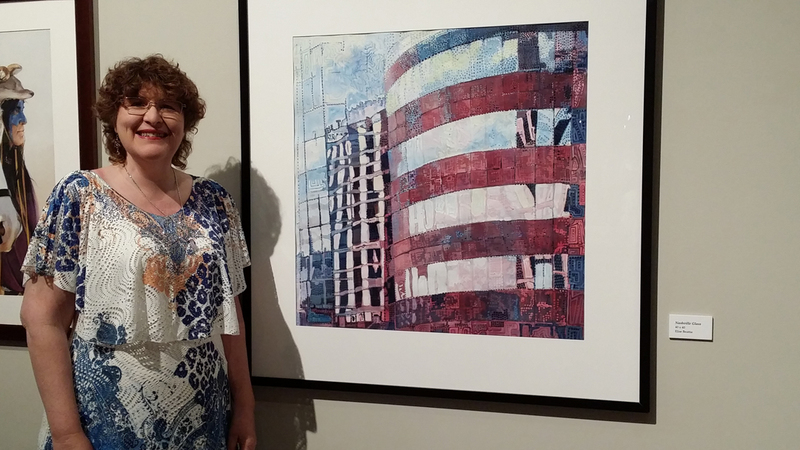 The artist believes that "Life is change, growth is optional". 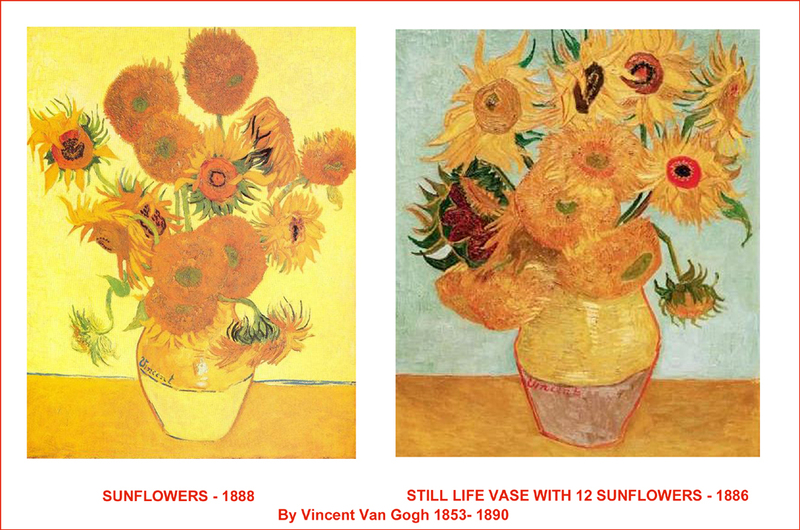 I agree, what is true for life can also be true for paintings! 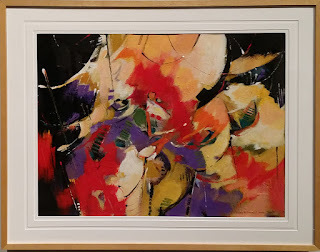 It was marvelous to watch how Kathleen dealt with issues in her paintings and how she uses a "special" recipe to aid her in her creative search for perfection. One of her favorite ways of reconditioning a misbehaved painting is to use what she calls "Gesso Juice". place all ingredients into a plastic bottle and shake gently. 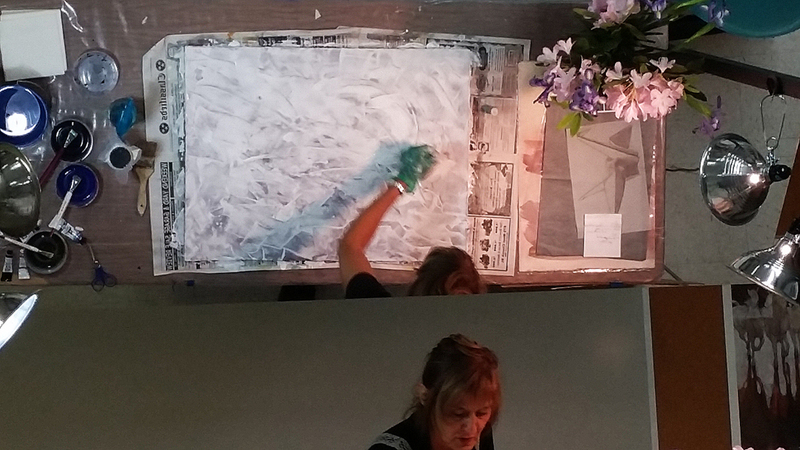 Kathleen Conover playing with gesso juice on a piece of watercolor paper. ...Then begins the artistic process of adapting the appearance of specific areas. As you can see in the photo Kathleen can choose between adding more of the gesso mixture or subtracting the gesso "juice" from the paper by wiping or pushing the gesso mixture around the painted surface. I have now discovered that I love "gesso juice"! Here it was an artistic ephiphany. Where has this recipe been all of my life? 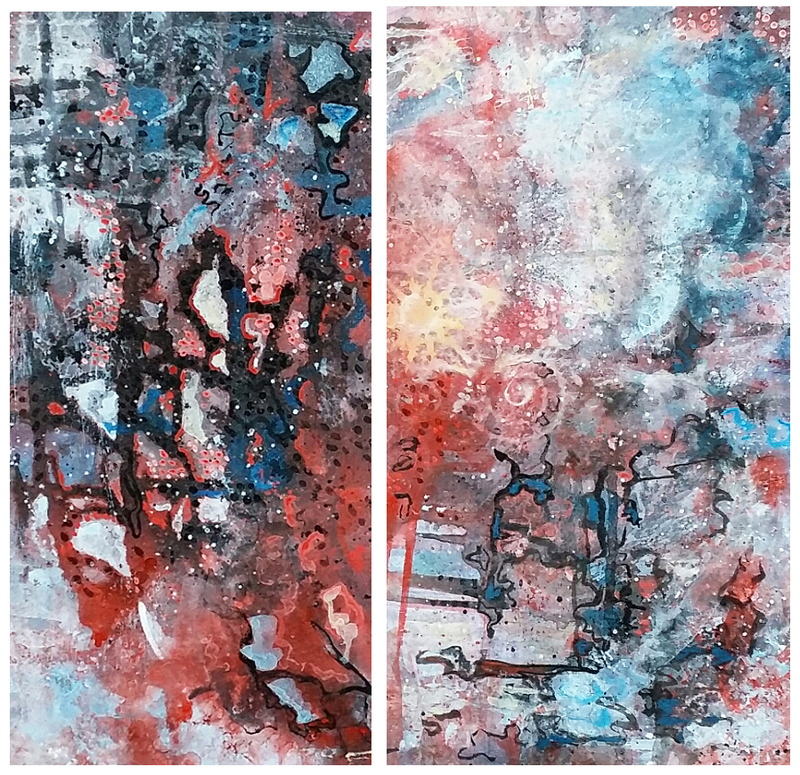 Now discovered, it was time to disappear into my studio to repeatedly ask myself :"What if I do this or yes, I can even do that with gesso juice". So began the creative process of new discoveries and growth. Have you ever had a painting that did not feel or look the way you had imagined it should? I have and consequently ended up placing some of my art on my metaphorical back burner until such a time as I have acquired enough experience to grow beyond the problems created and solve the compositional issues that concern me. Some knowledge comes quickly and other times, well a slow simmering is needed. 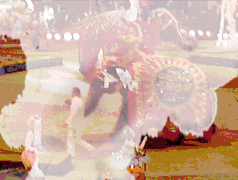 While living in Florida, many years ago, I was inspired and mesmerized at the circus. 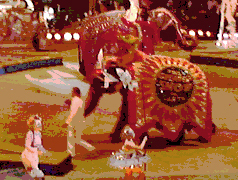 The clowns, bright colors and elephants were enchanting, alas I tried many times, but could never quite design a painting that did justice to the spectacle performing before my eyes. One of the paintings created at this time sat in my portfolio case unloved for 15 years.....waiting patiently for me to rediscover it. Enter "gesso juice" and a willingness to grow and ask myself the tough questions. Recipe in hand I decided to challenge this old piece of paper with my new experimental ideas. 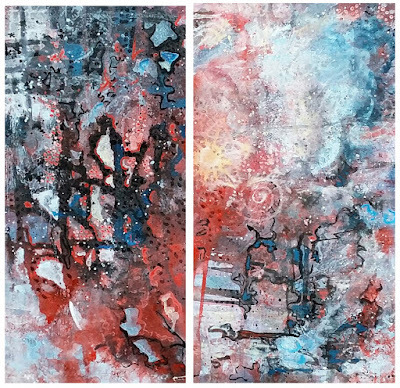 I dusted off all of my favorite techniques : pouring, splattering and printing with more paint using carbon black,pthalo blue, permanent alizarin crimson, hansa yellow and quinacridrone red. As I watched this new idea develop from the pool of my imagination I kept in mind the composition & design lessons that I have learned during the last decade. In the creation of this new painting, I explored as many unique methods of application as I could come up with. Throughout the painting process I, like Kathleen, bounce between working with my fluid acrylic paints while subtracting or adding "gesso juice" to juxtapose color and value. I finished off the painting by using collage to define my center of interest. When I was done asking myself "What if I?" I knew that a new experimental work of art was born. Now that you have seen what happens when I ask myself "what if I..."; why not see where your imagination can lead you when you ask yourself the same question. Thank you for visiting my artist's blog. Please come back regularly and share my blog with your friends. 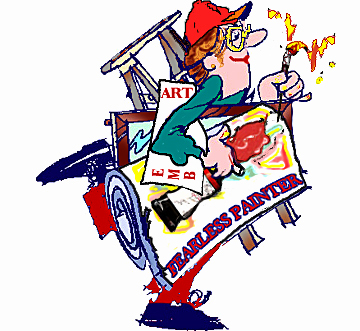 To learn more about the Fearless Artist please visit her web site . 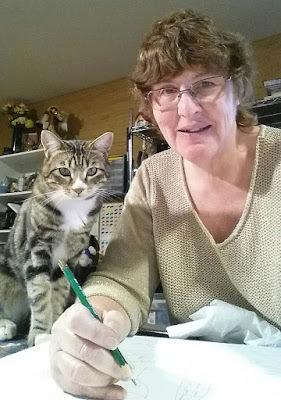 The artist's web site has original paintings for sale and information about the artist's art workshops that you can sign up for. 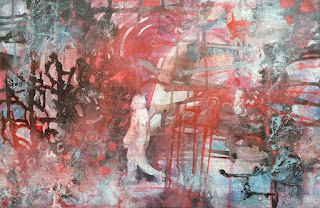 Be inspired by also watching Elise Beattie's art videos on YouTube.